Next Tuesday (16th October) we are Ploufing for the first time in ages. 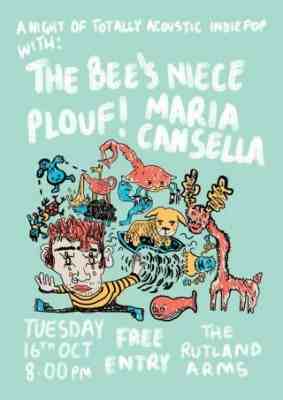 We’re playing at the The Rutland Arms in Sheffield with The Bee’s Niece and Maria Cansella and it’s free to get in! Also we’re on Twitter now – we’re @wewillploufyou if you want to follow us. I’m sure it will be very exciting! We’re going to be playing at the Sparkle-coustic Sunday next Sunday. It’s at The Rutland Arms in Sheffield and there are loads of ace bands playing. It starts at 3pm and will finish around 9ish – not sure what time we’re on yet. Come down, it’s going to be fab! We are very excited to be playing in Bristol on Sunday with The Middle Ones as part of the residency at Cafe Kino. It is at a secret outdoor location which you can find by turning up at 4pm at the cafe. Also playing are Ichi and James Boyce. We have put a few songs on the website for you to download and enjoy. 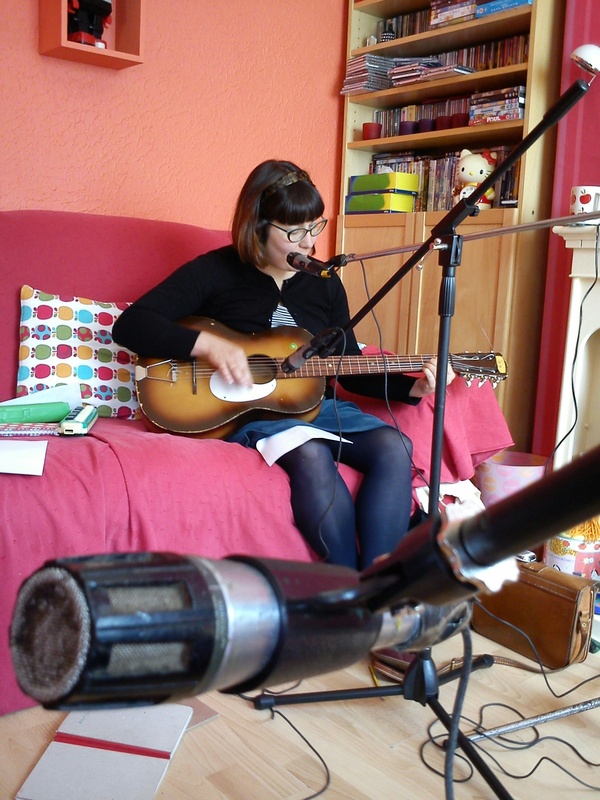 They were recorded on Elodie’s Fisher Price tape recorder in our practise room. We are also playing with The Middle Ones and Oxo Foxo again – this time at The Chameleon in Nottingham and with Hannibal Hamster who is Alex from The Japanese Sleepers. It’s on Sunday the 20th of March and is an afternoon show (starts 12:30) and free to get in. It is the day after the marvelous Milky Wimpshake play in the same venue. The whole weekend will be lovely so come along if you can make it. We have updated the website (it’s not quite finished yet – we will be adding a bit more stuff soon) and we now have some Plouf! tapes for sale! See the Buy page for details. Also tonieee is playing a solo set at The Chameleon in Nottingham on the 24th of February with Sourpatch, Horowitz and Town Bike.